I am a NNADAP worker in a small community called Nemaska and am searching for ways to help my people heal from their addictions or improve their lives and become healthy individuals. i am currently searching for a christian based program gear in recovery from addictions. I will add on to my 2013 community treatment calender list available to public. Please let me know if you have any other listing of other christian based treatment program available. Wow I just learned where Nemaska Quebec is and that is quite a distance from most of the larger cities. I believe your people would benefit from doing the 12-step program outlined in The Big Book of Alcoholics Anonymous. I would recommend that you find people to start an AA chapter in your area. Although AA is not Christian it is easily adoptable to the Christian faith and everything you need is available for free online. Start by making The Big book available for them. You can have someone print it out for use by others in your community. Once you start an AA chapter you will have a lot of support available to you. Their is also a program called Celebrate Recovery that could be started by a local church in your area. 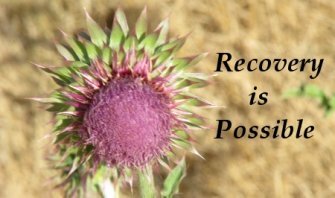 The Celebrate Recovery Website allows you to download all that you need to get started. Currently, there is very little available to support people suffering from addictions in your area, but with a little support you and others in your community can change that.